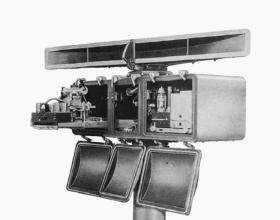 In 1947 the very first civil Type 1 radar was produced by Kelvin Hughes and installed on a new fishing trawler. Its X-Band transmitter was fitted with a magnetron. The radar echoes are shown on a PPI-scope using magnetic deflected cathode ray tube. Kelvin Hughes' Memorandum on the occasion of the 70th anniversary of first type-approved maritime radar.